As we open 2019, my tenth year with Oakland Kids First, I want to formally thank you for supporting OKF and our amazing student organizers, leaders, and staff who are working so hard to make OUSD a more just and equitable school district. Whether you’re a student, alumni, donor, community supporter, teacher, family member, or funder, your solidarity allows us to support Oakland youth doing courageous and necessary work in our city. The last few months have been a whirlwind. Kim Miyoshi, our wise and wily leader for the past 18 years, stepped down as Executive Director to build our new Justice 4 Oakland Students coalition and the board tapped me to succeed her. Kim left some huge shoes to fill, but thankfully we have a tremendous team here helping usher Oakland Kids First into an exciting new era. As Kim noted in her farewell letter, I’m a third-generation East Oaklander who has been working with Oakland youth since I was one myself. 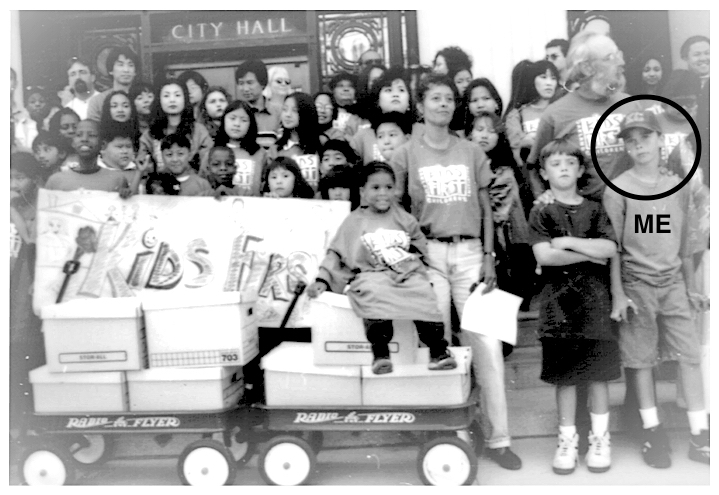 My journey with Oakland Kids First started 22 years ago in 1996 when I was a 10 year-old OUSD student walking precincts for Measure K. The “Kids First! Initiative” – as it was also known – aimed to set aide 2.5% of the city budget for children and youth services. After many many weekends of going door-to-door to garner support, we hand delivered 50,000 signatures to City Hall in red Radio Flyer wagons to get it on the ballot and then ran a compelling multi-generational campaign to pass the measure. That campaign became law and the Kids First! coalition became an organization. 13 years later, I joined the team as a youth organizer. And nine years after that, I’m taking the baton as the Executive Director. 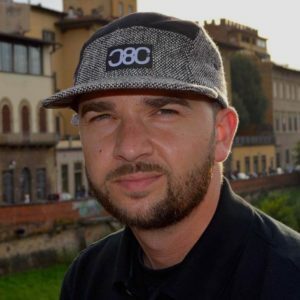 My path has brought me in contact with some incredible mentors, organizations, and community members who have taught and guided me over the years. I developed my political analysis as a high school student in Darrick Smith’s TryUMF program at Oakland Tech; learned the power of my voice on the stages of Youth Speaks events; cut my organizing teeth on the Yes Council that launched Youth UpRising; learned to lead on the rocky infields of Bushrod Park; and how to train and support my peers at the Youth Employment Partnership. All of these opportunities and experiences were afforded me before leaving to study sociology and education at UCLA. That level of education isn’t possible many places and was an amazing supplement to an OUSD education. Those life-affirming experiences were made possible by so many incredible folks and typify the energy I have tried to carry forward through nine years at Oakland Kids First. At OKF, we value providing young folks with safety, community, a growth mindset, and the power to practice their leadership by advocating for the things that matter most to them. 2019 finds us amidst turmoil and on the precipice of change in the Oakland Unified School District. As our School Board and charter interests bleed our once proud district dry, our student organizers and adult allies have been fighting back in the hopes of keeping our schools open, equitably resourcing them, AND paying teachers the wages they deserve. That is a tall order but we refuse to be resigned to the prospect of constant teacher turnover, unchecked racism, and continuous privatization of our public schools. We know the way forward is arduous but we believe in the power of youth voice, leadership and organizing to shepherd us forward. Students are the primary constituency of our schools and possess years of experiential expertise and yet they are granted no power. We believe that paradigm is flawed and are supporting powerful youth leaders to help create engaging and equitable public schools where all students learn and achieve. 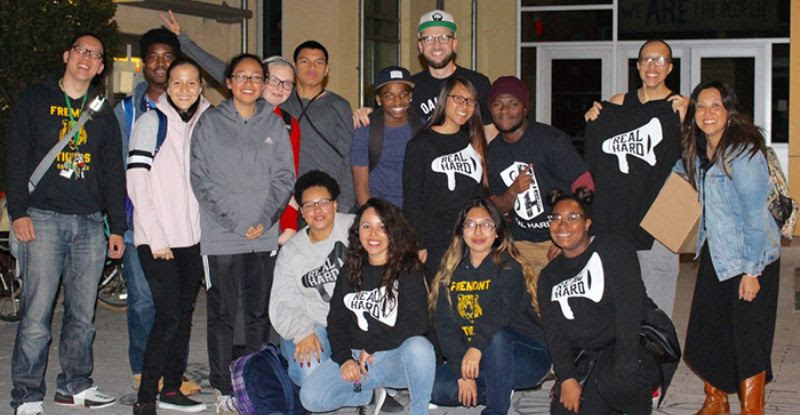 Most recently our student organizers launched a campaign to reinstate the free supper program that provided a hot meal to over 3,000 students at 32 Oakland elementary, middle, and high schools every day after school. The Board of Education unceremoniously cut the program at a meeting this past summer with students only learning of the cut when they returned for the first day of school this year. Our REAL HARD Student Organizers were rightfully outraged and fought vigilantly to reinstate the program with support from the J4OS coalition and students and parents from Youth Together. After speaking at several board meetings, meeting with board members, collecting over 2,000 petition signatures, and generating a lot of media coverage, the Superintendent announced the reinstatement of the free supper program last week (1/14/19). Not only will over 3,000 students have a hot meal after school again, but OUSD is now aiming to expand the program from 32 to 76 OUSD schools providing thousands more students with free hot meals after school! There is still work to be done to improve the quality of meals and to ensure the long term sustainability of the program, but this win is testament to the power of organized youth taking a stand for their peers and holding adults to account. Thank you to all of you who supported this campaign and to all of you who will support our next push! With your continued support of our powerful student leaders, they can continue organizing, innovating, and showing us what this city can look like when we put Oakland kids first.